Jaguar is celebrating 75 years of luxury automaking. Sure there have been some bumps in the road along the way but they have also turned out some of the most sought-after road warriors in the industry. And have you seen Jaguar lately? Heralding their three quarters of a century is an all-new flagship XJ sedan lineup, with my driveway seeing the new XJL saloon recently. For 2011 the XJ has been given a new face, a new body and a new heart – all of which work in harmony to deliver one of the best Jags yet. My favorite time in the XJL was actually driving home from work. Slip behind the wheel of this beautifully crafted creature and point the nose home – the long way home. Ventilated seats begin to aerate the pores while a tap of the massage function brings forth magic fingers working those sore or stressed areas of the upper and lower back. Add your favorite tunes on the awesome Bowers & Wilkins 7.1 surround sound system and you are bathed in comfort. Click over to the nav system and keep hitting the “find alternate route” function so this experience doesn’t have to end until the fuel does. 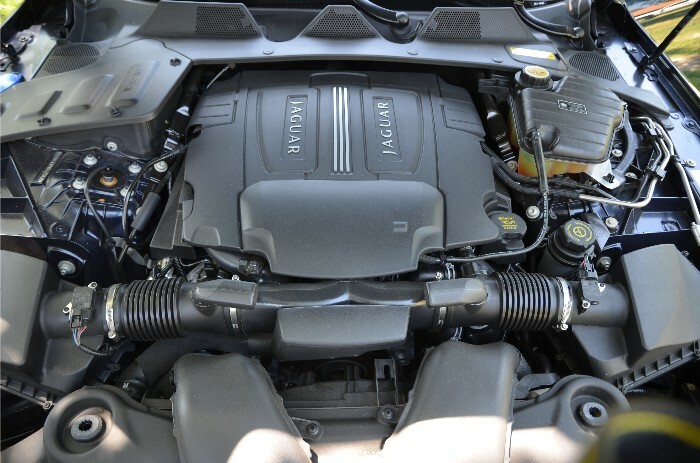 Under the hood of the big kitten are new AJ-V8 Gen III powerplant variants, all based on an all-aluminum 5.0-liter V-8 engine. Power begins with the normally aspirated model giving 385hp and moves to 470 in the Supercharged version and 510 ponies for Supersport editions. Zounds! 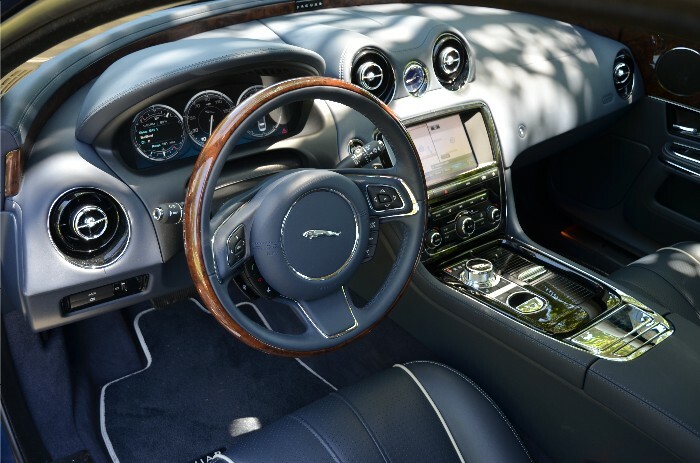 And they are all backed by the slick fully adaptive six-speed automatic transmission with JaguarDrive Selector and sequential shift function via steering wheel paddles. We had to settle for the base powertrain in our review version but we were not disappointed and we were not left back at the light. Hit the accelerator and this frisky feline “leaps” into action. Fully adaptive suspension damping controls the roll while a stiff, quiet body unit isolates occupants from the outside world. Giggity. 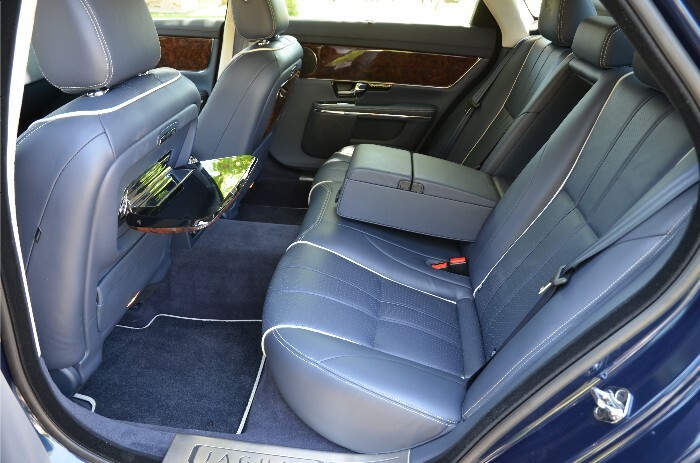 Our tester adds an “L” to the end of its moniker which signifies some extended length – five inches to be exact – and all in the rear seat legroom area. Hmmm, maybe that L actually stands for Legroom? Pricing? Not for everyone, not even with a lease agreement. 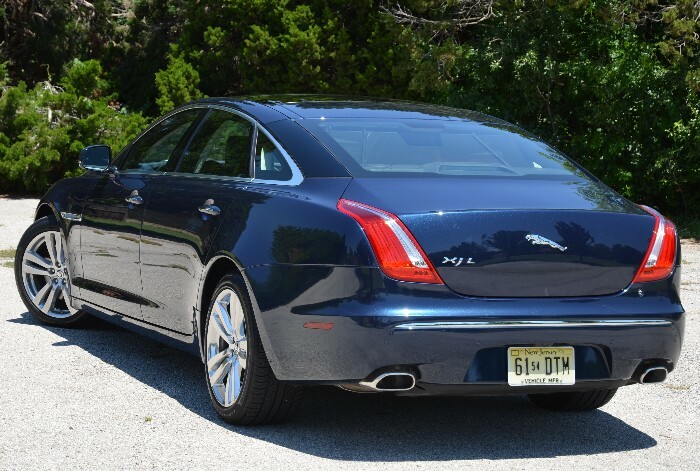 The XJL we received began at just under 80 grand with a final sticker of 82 and change when all was said and done. 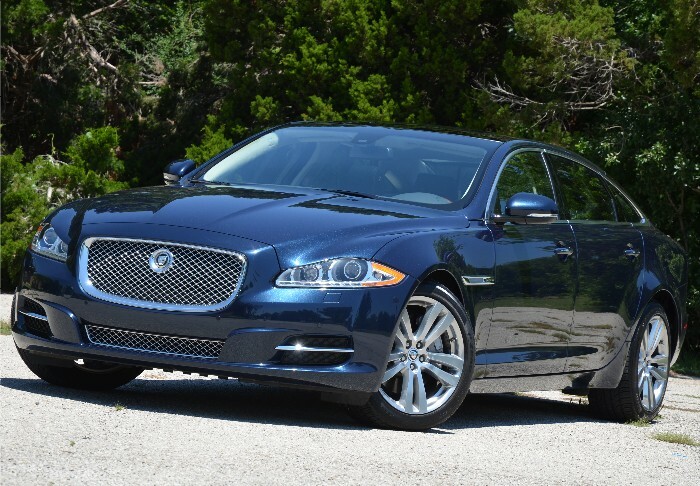 The 2011 XJ family is quite the ride and while the coupe-ish sedan styling may not be for everyone it certainly sets the tone for Jaguar heading into the fourth quarter. When they hit the century mark I hope this is still one of the vehicles they are talking about.